Regardless of your exact aviation cleaning needs, you'll be hard pressed to find a product on the market that can come close to the rugged, user-friendly properties of Weston Aerospace-Grade Wipes. These remarkably well-constructed, 9' x 16.5' wipes are free of additives, binders, and glue for super absorbency that won't stain or damage your equipment. Additionally, their unique, spunlaced construction is optimized to resist snagging and binding on corners and rivets, and their low-linting qualities ensure they won't leave a mess behind. Ideal for cleaning windshields, polishing chrome & aluminum, wiping away grease & oil, and numerous other aviation applications. Each box contains 100 wipes. An exceptionally well-designed cleaning agent from the quality experts at. Tough new Weston AC aircraft wipes are the smart choice for both aircraft manufacturing and maintenance. Packaged 100 per pop-up box, these 9' x 16.5' (23 cm x 42 cm) wipes are engineered for critical cleaning. Their strength and low-linting characteristics make them ideal for a wide variety of flight-critical jobs. They leave no rag marks when used in pre-paint applications-and they're ideal for cleaning windshields and polishing bright work (chrome, high-polish aluminum, etc.). Plus, Weston AC wipes can handle tough cleaning agents without falling apart. Consistently clean and exceptionally absorbent Weston AC is 'The Clean Choice' because it contains no binders or glue. It's clean right out of the box. In contrast, laundered rental towels can still contain chemical residue, stains, and metal shavings. Rags made from used clothing are often stained and lack absorbency and other characteristics needed for cleaning applications. Weston AC is great for wiping surfaces dry because it has no additives that can hamper absorbency. And it's ideal for cleaning hard-to-reach corners and crevices. Weston AC is specially engineered to resist snagging on metal parts and corners. That's why it's superior to paper wipes that snag and tear, leaving lint behind. Weston AC also outperforms cheesecloth, which can leave strings behind when it snags on a rivet. Inside every Weston Technologies fabric, short lengths of fiber (called staple) form a strong, three-dimensional sheet structure. 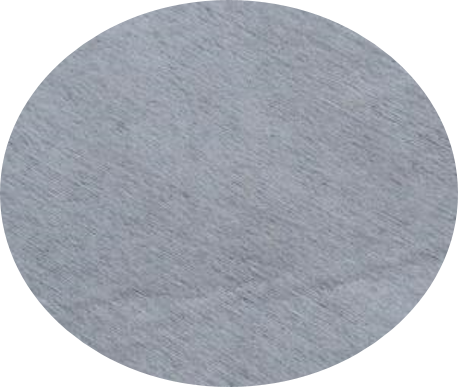 Often described as a spunlaced material, it is a nonwoven, textile sheet fabric. Unlike traditional fabrics, its fibers are not spun into yarns, not woven or knitted. 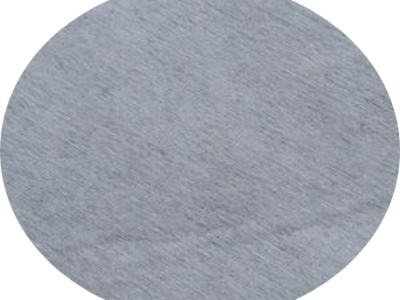 And unlike many other nonwoven materials, Weston Technologies fabrics use no binders, surface modifiers or adhesives to hold the fibers together, minimizing the possibility of product contamination or user allergic reactions. This makes possible structures of very high purity - an important advantage in numerous applications, particularly medical, critical environments, engineered wiping, and many consumer product applications. The technology of Weston turns fibers into fabric by hydroentangling - shooting thousands of high-pressure (up to 2000psi), needle-like jets of water at a random batting of blended fibers. The jets entangle the fibers into a fabric, which is then dried and wound into a fabric roll. Fibers may be entangled to form a strong yet soft sheet structure with either a repeating pattern (called aperture) or no pattern. Virtually any combination of fibers can be entangled, including polyester, rayon, acrylic, nylon,woodpulp and cotton - providing almost limitless control of performance characteristics. The technology of Weston can produce spunlaced fabric ranging from absorbent to repellent - with stability or conformability in all directions. This technology creates products for both disposable and durable goods applications. Absorbency - Since Weston Technologies fabrics can be made with a variety of fibers, the ability to absorb various liquids can be controlled without the use of surface modifying agents. Chemical purity - Weston Technologies fabrics offer low contamination potential because they contain no binders or adhesives. Cleanliness - The Weston Technologies spunlace process literally 'washes' the fabric during the manufacturing process removing contaminants, such as particles and lint. Hypoallergenic properties - Spunlaced fabrics do not produce allergenic or toxic responses in human skin. In keeping with standard industry practices, however, it is recommended that appropriate clearance testing be conducted when dyes, resins, or other finishing chemicals are applied. Low-linting - The high energy imparted in the spunlacing process on the fibers creates a low lint fabric. Softness - The absence of still chemical or thermal bonds produces superior softness, where fibers are free to bend and move as the fabric is flexed. Strength & durability - Weston Technologies fabric has exceptional resistance to tearing, and maintains over 75% of its strength when wet. In addition, spunlaced fabrics offer high machine/cross directional strength ratios.